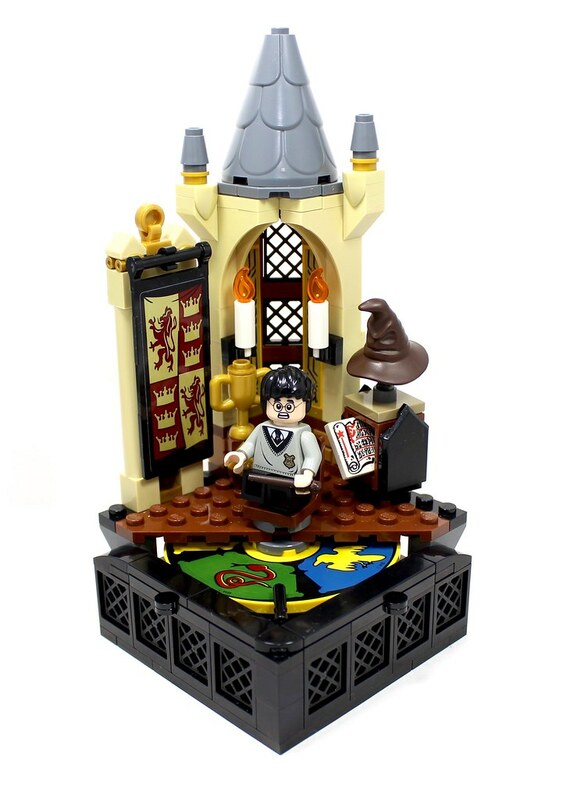 I ordered a lot of classic LEGO Harry Potter items on BrickLink and this was the first project I wanted to accomplish. Hopefully, I'll make more soon! I do believe a mistake was using the old hair and not including a cape, however. I really like what you've done here, remaking the old sets using the new elements and minifigures. I also love the way the sorting hat is angled so that it's looking down on Harry. I'm really excited to see where this goes, especially with all the new elements and pieces introduced. It looks very good, but the point of the original set was that the printed disk was easy for little fingers to spin. The disk in this build can still be swiped on the top surface, but I don't see anywhere to spin it by flicking the edge. Love this! I hope to see more projects like these. I would love to see a set like that to make a return. This is amazing looking, really like the roof and boarder of using those new window pieces, though I agree with @icm about the disk, unless there a spot to spin it from the back . Oh my god, this is brilliant! I love it! I really do love this. I got this set from my folks in addition to the first wave Hogwarts castle in Christmas of 2001. This really strikes the nostalgia nerve. I like that you've included the 2x2 scroll print. I must have that somewhere. 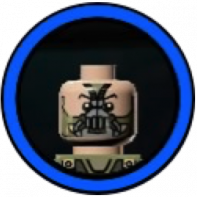 I like this remaster of the classic set! To be honest, I thought of 4701 as the weakest Harry Potter set because it didn't have any structures but had a weird-looking circle, but this MOC brings new life to it! That looks really good. Also the old grey torso still looks very well on the new Harry figure, unbelievable how it holds up after all those years. Now I kinda wished I had it myself xD. 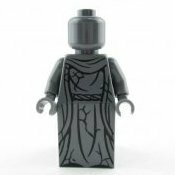 I hope they'll release a new non sorted torso in the future. It looks like you can spin it from the back though. You should definitely remake more sets. Love to see you remake the Slytherin common room from 2002. I might have to have a go at making something similar. I always loved the concept of this set and you've just made it 10x better. I also love the way the sorting hat is angled so that it's looking down on Harry. Wholly intentional! That was one of the things I was just dying to do since the idea of this MOC came to me! I had none of them . But on the bright side, BrickLink and other resellers exist so I've been able to slowly build up by quickly blowing paychecks! The back is completely open and the wheel is on a very nice set of hinges made for some great spinning. This set was also made with the intent of being a vignette with a border before it was a complete remake of a set. Regardless, I can work on a version without a border and something much more open. You absolutely will! Thanks so much! As a kid, I never really had the money (and the theme was long dead when I was really into LEGO) so I'd spend my time gawking over sets online. A few of them are pretty fairly priced if you piece them out and others are near inexcusable. I wanted to keep a lot of small details but also focus on my building skills. So while I'm aware I might never see building like that in a set, it's a pretty nice table decoration! Aw, thanks! I championed this set in particular as a kid for some reason, I reaaaaally wanted it. Looking back at it while designing, I'm glad I didn't go out of my way a year or three back and try buying it for nostalgia's sake. There's something nice about modifying a set you adore (concept or build). It's just a great means of expression if you come away feeling you made something special. Which is what everyone really has made me feel like, which is a surprising but very nice reaction. Absolutely agreed, I hope they can get something like that done. I have my doubts but luckily BrickLink has these going pretty cheap. Yep! While depth may also be deceiving as the base is 8x8 but due to the slopes, it's really 9x9. There's a good amount of the wheel exposed for topical spinning as well. I will absolutely try to make that a reality, there's not a single 2001-2005 Harry Potter set I don't admire or find redeeming qualities in. Iron sharpening iron is always something I will always stand by, give it a go! Would love to see your interpretation, Hogwarts is such a great setting because it's so up to interpretation as to what builders want it to look like. I love seeing every iteration I can find. EDIT: Can I just say, I've never, ever quoted 15 replies? This feedback is incredible and I truly appreciate it! Thanks for your reply - could you just post a picture of the back? No need to work on a new version if the disc is already easy to spin; I'd just like to see it. Unfortunately I took it apart to work on my next set, but I can do a mockup on LDD later tonight. Thanks a ton! I had a version with an owl stand made from a life preserver piece and a spire. It was neat but I felt like it stuck out too much so it didn't make the cut. No need to work on a new version if the disc is already easy to spin; I'd just like to see it. There's not much filler as the actual build as I just wanted to get it finished. Spinning from the bottom is fairly easy as the back is that open just with tan tiles to smoothen it out. As you can see too, the 9x9 base is completely removable if need be. Thanks for posting this. I see that the back is completely open, and I'll take you at your word that it's easy to spin, but to me it still looks a little tricky to get fingers in there, because there's not much clearance between the disk and the plate above it. Regardless, it's quite a nice build. I love it. Very nice.